Car tax must be paid on the majority of vehicles registered in the UK, and any motorist caught driving without it could be fined up to £1,000. 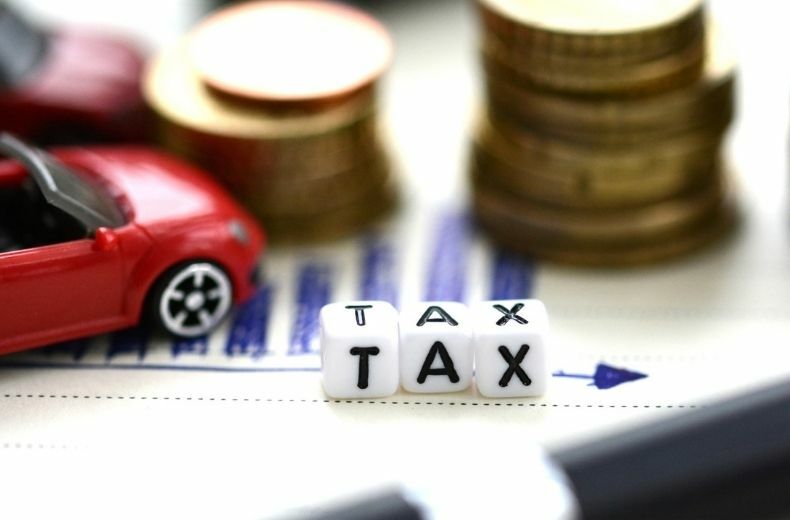 However, the number of untaxed vehicles has trebled since tax discs were scrapped in 2014, according to the latest data from the Department for Transport. Don’t fall foul of the law by driving a car that is untaxed – our essential guide helps clear up some of the confusion surrounding road tax. Is it always illegal to drive without car tax? My car is parked on the road but I don’t drive it. Does it need to be taxed? What happens with car tax when buying a used car? How do I tax a brand new car? What happens with car tax when you pass your driving test? What if I’m stopped by the police for driving without car tax? What is the penalty for driving without car tax? By law, it’s an offence to drive a vehicle on a public road in the UK without road tax, but there are a few exceptions to the rule. If you’re taking your car to a pre-booked MOT test, you can drive your vehicle on a road without it being taxed. The law doesn’t state how far you can travel, but if you stop off at the shops on the way or cover an unreasonably long distance it could be deemed that you’re using the vehicle for other purposes and the exemption won’t apply. Disabled drivers may be exempt from paying vehicle tax, while certain vehicles such as electric cars and historic motors may also be excused. However, it’s worth noting that you do still have to apply for vehicle tax even if you don’t need to pay it. You can find out more on the Gov.uk site. Yes. The law states that a registered vehicle being kept or used on public roads must be both taxed and insured. You don’t need to tax your car if you’re not driving or parking it on a public highway. If it’s kept off road in a garage, on a drive or on private land, it must be declared SORN. SORN stands for Statutory Off Road Notification. You may decide to do this if you’re going away for an extended period or your car is being restored, for example. If a vehicle isn’t declared SORN, you’ll still need to tax it. You can apply for SORN free of charge online or by using form V890. It’s important to remember that once a car has been declared SORN, it can’t be driven on the road until it’s cancelled. SORNs no longer expire after 12 months. Driving a car that has been declared SORN is a more serious offence than purely driving without tax. Unless you’re going to a pre-booked MOT appointment, you could face a fine of up to £2,500 if you’re caught driving while a SORN still applies. Under new rules introduced in October 2014, vehicle tax can no longer be transferred to the new owner. The DVLA will refund any full months of tax left over to the previous owner. So whenever you buy a used car, it will now always be untaxed. Before paper tax discs were scrapped, there was a five-day grace period to allow for your new disc to arrive in the post if you had applied online. But with the introduction of the new digital system, this rule doesn’t apply anymore. The vehicle must now be taxed at the point of sale, so you could be fined if you drive off without it. When you buy a second-hand vehicle, the seller should give you the green section of the car’s logbook, known as the ‘new keeper supplement’ or V5C/2. You can tax the car online or at the Post Office using the 12-digit reference number from the V5C/2 form. If the car is more than three years old, you’ll also need a valid MOT. If you buy a used car from a dealer, they will usually tax it for you online or over the phone before you drive away. Your dealer should be able to set this up for you, but you’ll need to have your car insurance in place before you can drive away from the showroom. If you didn’t buy the vehicle from a dealer but imported it or built it, you will need to register and tax it yourself by completing a V55/4 form. If you’re selling your old car, make sure the appropriate section of the V5C is sent to the DVLA to inform it about the change of ownership. You’ll then receive a refund on any full months’ worth of tax you’re owed. If you fail to notify the DVLA that you are no longer the registered keeper, you could be fined up to £1,000. If you’ve just passed your test but haven’t yet got a car, you won’t need to apply for road tax until you get your first set of wheels. How much tax you pay depends on CO2 emissions, engine size and when the vehicle was registered, so to keep costs down many new drivers will look for a car in the lowest tax brackets. If you’ve already got a car, you just need to make sure it’s taxed and insured before you drive it. At one time, the police used to check paper tax discs displayed in the front windscreen of people’s vehicles to find out whether a car was taxed or not, but these days all checks are carried out electronically. Automatic Number Plate Recognition (ANPR) cameras are used to scan registrations and check them against information stored in the DVLA’s database. If your vehicle is found to be untaxed, an officer may issue you with a fine. It’s virtually impossible to get away without paying road tax if you’re required to because the DVLA runs monthly computer checks of all vehicles registered in the UK. If the system flags up a vehicle as being untaxed and not declared SORN, an automated letter and fine of £80 will be sent to your address if you’re the registered keeper. You won’t get any points on your licence though. If you pay the fine within 28 days, you should receive a 50% discount. If you fail to pay the fine, you could be prosecuted, and the penalty could be increased to a maximum of £1,000 if the case goes to court. The DVLA also has the power to clamp your vehicle until the correct amount of tax is paid.